I have just completed listening to the final episode (No. 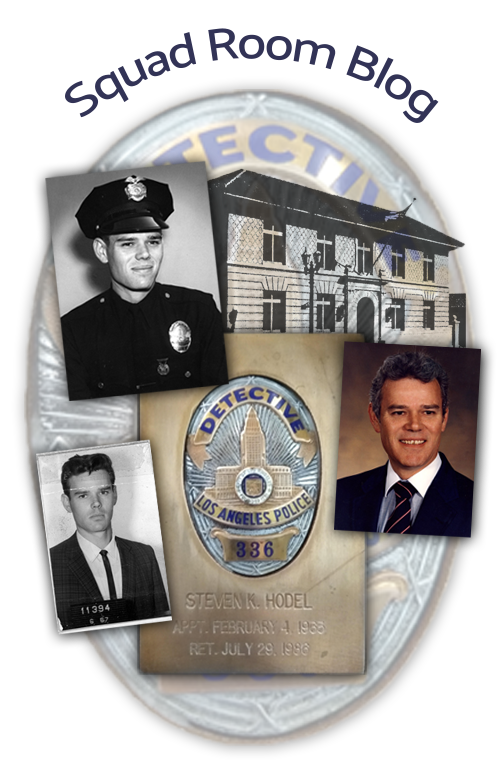 8 “You Only Have One Family”) of the podcast, “Root of Evil: The True Story of the Hodel Family and the Black Dahlia. My connection to this story began exactly eight months ago, to the day, by way of an email from an individual I had never heard of, he identified himself as, Zak Levitt, a documentarian. My name is Zak Levitt, and I’m a documentary filmmaker. You may have heard from family members that I am endeavoring to tell the TRUE STORY of your complicated family, and of course, The Black Dahlia. However, I want to make sure that what I am setting out to do was properly represented to you. This is going to be all factual, nothing fictional, and your experiences and investigation are crucial to the story. The fictional series, “I Am The Night” on TNT has no bearing on my story. You can look at it like the two OJ series that came out around the same time period. One was a fictionalized account for FX, and the other was the true documentary series for ESPN. I would really love the opportunity to speak to you over the phone to discuss. …OK. I’m speaking to so many members of your family. You’ve made so many appearances to speak over the years. It would be strange not to have you as even a small part of this story. I’m hoping we can figure something out. Looking forward to discussing further. Zak. …Following up again. Steve, I’m hoping at the very least that I can interview you, one on one, either in person or over the phone, about your findings/investigation detailed in your books. We can stick to what you’ve already written or spoken about. I want to make sure that the facts are represented correctly. Zak and I had an approximate ninety-minute conversation and after hearing how well backgrounded and prepared and knowledgeable he was,–I was hooked. To be clear, my “involvement” related to, in Zak’s words, “making sure the facts were represented correctly.” This would solely relate to my (Steve Hodel’s) personal knowledge of our family history, and my Black Dahlia investigation. I had no contact with other family members, so each interview was coming directly from that individual Hodel family member and was his or her subjective/objective knowledge as they experienced it, without influence from others. Zak as Executive Producer, documentarian, writer, and editor then was tasked with the Herculean job of trying to take all of the hours of individual interviews (from my count ten Hodel family members along with another half dozen or more outside “experts”, and archival audio, and trying to piece them all together in a cohesive eight-hour podcast. To my mind, and apparently based on the massive number of positive “reviews and comments” (over six-thousand on iTunes alone) along with the National No. 2 ranking for the Root of Evil Podcast, Zak’s production received extremely high acclaim and resulted in a massive amount of listener “downloads.” My congratulations to Zak and to all of the hard work he put into making the production as a huge success. As presented in its entirely the “True Story of the Hodel Family” as told by individual family members is almost beyond comprehension and the dysfunctionality is horrific and heartbreaking. For myself, as the second eldest living Hodel family member, listening to my nieces and nephews “tell their individual experiences being raised by their mother,” Tamar, my half-sister was beyond heartbreaking. I had no idea, no comprehension of just how much each one of them, Deborah Elizabeth (Fauna II), Peace, Love, and Joy had individually suffered at the hands of their mother, Tamar. My brothers and I had experienced child neglect and had been regularly subjected to our mother’s alcoholism and on at least three separate occasions as young children were “taken into protective custody by law enforcement” and placed in Juvenile Hall. But, that abuse was different. It was our mother harming herself and consequently we three boys needing to be protected by the State and be provided food and lodging. That was far different from the kind of harm that was forced upon Tamar’s four children. Their abuse, their harm was DIRECT. It was ongoing, active and immediate. My niece and nephews suffered far more than I could have imagined and to hear it related by each one of them, tore at my heart. I had never cried for them before because I never knew. Listening to them tell their individual stories of child neglect, sexual abuse and being raised in a home without experiencing any real love was painful. When I heard it from their mouths on the podcast for the very first time it was visceral, it hurt, and it hurts me now. All four children had it BAD. Fauna II the worst. I knew from my later research into my half-sister’s life that Tamar was a lousy mother, had elevated manipulation to an “art form” and that all of her children had suffered. But, until hearing it out of their own mouths, I just didn’t know how bad it had really been for them. The “Good News” as revealed in the Root of Evil podcast is that I believe the cycle of abuse IS NOW BROKEN. Speaking for Tamar’s children, for Peace, for Joy, for Love, and for Deborah Elizabeth (Fauna II) it is my confident belief that all four are DOING NO HARM. In adulthood, they, each in their own way have become strong and independent. They love their children and each has become a positive, caring human being. I say, BRAVO to each one of you. Born to the DARKSIDE each one of you has independently walked through the fires and into the LIGHT. A huge hug and kiss to each of you. And to Yvette and Rasha, who I know even less than my nieces and nephews, I say the same. Both of you are clearly survivors. You too have been tested and survived. Thank you for hosting the Hodel Story. Both of you were amazing and your contributions cannot be underestimated. Still, you were able to bring Zak’s words to the public and give them Life and Feeling and Love. Hugs and kisses to you and your loved ones from a great-uncle who is most proud of your contributions to the Hodel Story. Was Dr. George Hill Hodel the father of Fauna Hodel? We are now at the end of the podcast and the question remains? This comes as a surprise. Why? Because, to my knowledge, that very question was asked and answered during the research and investigation conducted by Executive Producer, Zak Levitt. As I understand it, both Tamar’s and Fauna’s children, my nieces and nephews were all present in one room at the conclusion of Episode Eight. After having been given Fauna Hodel’s DNA profile, Zak Levitt presented Rasha and Yvette and their aunt and uncles the opportunity to find out the answer together. 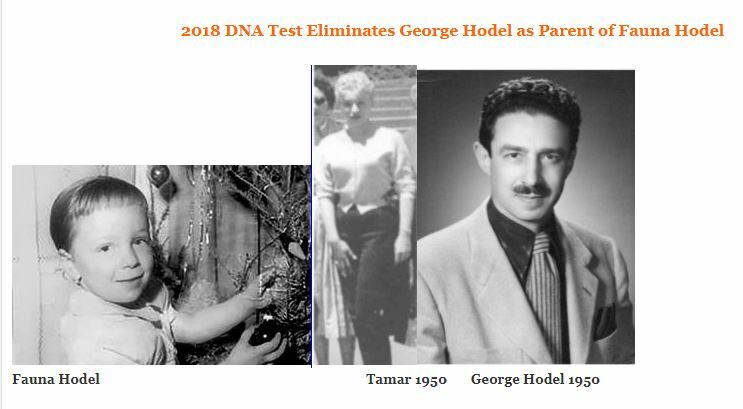 The results proved to a scientific certainty that Fauna Hodel’s parents were not related, therefore Dr. George Hill Hodel was not the parent of Fauna.” He was NOT HER FATHER. This information was originally intended to be included and revealed to the public in the final Episode Eight of Root of Evil, but was removed or omitted apparently at the request of TNT? I was certain to win the my childhood was more F up than yours contest. I am so wrong. The most astonishing thing is how well all of you guys turned out. STEVE WPR: Well, happily hand over the MFU Family Trophy back to you and take the Silver Medal, but guess it’s too late now. Yes, the question is answered but the answer was not shared publicly… why? It would seem one of the seminal questions in both TNT’s fictional “I Am The Night” and the ‘true-story’ account of the Hodel family members in Cadence13’s podcast: “Root Of Evil” is that of the parentage of Fauna. For Cadence13 to have answered that question via DNA testing, which positively rules out George Hill Hodel as her possible father, and then not reveal the result is baffling. It seems very strange and beyond baffling that the recording of episode eight would not reflect the DNA result as presented, in person, to the Hodel family members. It is understood that TNT’s “I Am The Night” is fictional dramatic entertainment where truth was not the watchword; whereas Cadence13’s podcast, “Root Of Evil”, was billed as a true story. I can also understand TNT’s desire to allow the fictional assertions, allusions, or inferences in “I Am The Night” to stand that George Hodel is, could be, or might have fathered a child (Fauna) with his daughter Tamar. That said, it makes no sense that TNT would want the truth edited out of Cadence13’s episode eight’s podcast regarding who was or was not Fauna’s father. Perhaps TNT can provide an answer as to why they apparently did not want the DNA evidence proving George Hodel did not father Fauna to be made public in episode eight of “Root Of Evil”. Yes, I too am curious as to the answer. I’ve gotten to know the producer, Zak Levitt through conversations and emails as a man of high integrity, as demonstrated in his product, the Root of Evil podcast. I have to believe Zak fought hard to present what he knew was not only a burning question to/for Hodel Family Members, but also to his listeners. Clearly, this will not be the last word on this subject. I am glad to hear that you are working on a doc about the true story. Looking forward to it. I was very encouraged that the cycle of abuse seems to have stopped. Great podcast. If it is not too personal, could you tell us anything about your father’s youth? I just have a feeling that he came from old L.A. money. Also, are In-N-Out burgers really as good as they say? Matthew M: My father’s youth is “complicated” and plays a very important part in what will become his unfolding psychopathy starting at a very early age. Just too much to cover here, but a few bullet points: musical prodigy age 9 (piano); one of “Terman’s Termites” with a stratospheric IQ of 186, Cal Tech student at age 14, and on and on. See BDA for complete details. Not really “LA Old Money”. His father and mother came through Ellis Island circa 1903 from Russia, via Paris where she was a practicing dentist. The source of their money is cloudy at best. Grandparents comfortable, but not really super rich. But, well off enough to have a top Russian architect come from Moscow to build their private residence in South Pasadena in 1923. Really enjoy all your hard work Mr. Hodel. Would love to see you do a podcast on everything you have gathered on the case and murder of Elizabeth Short, told through your eyes. Would love a ten-part miniseries documentary from you. I just finished the podcast (and reading all of your books) and it is all totally fascinating (the TNT special was not good but at least it sparked my interest to learn more). I am particularly struck by the connections of your dad to the killings in San Francisco. Too many coincidences for it not to be him. Very interested in hearing what the CNN documentary on “Very Scary People” say about Zodiac this coming Sunday night. Looking forward to your next book. Hi Uncle Steve: I am insulted that TNT insisted that we remove the DNA test results from OUR PODCAST….when clearly the movie was fiction ” based on a true story” why continue the biggest lie of all? Haven’t we been through ENOUGH as a family???? Hi Steve, I just listened to the podcast and after reading the above am not surprised that they went with the GHH as the father scenario. I agree that leaving it out was purely for financial reasons. Unfortunately, in the end they want the juiciest of stories. Hmm. What a let down if George Hill Hodel was not the father of Fauna 1. Either way, I commend your hard and extensive work in peeling the layers of your dad’s homicidal actions. Please remember your own soul though, don’t get too caught up in someone else’s evil. Julie: Thanks, but suggesting Fauna was George’s daughter in a fictional account is one thing. When you present “the true stroy” and it is 99.9% accurate and includes the truth that the DNA tests were conducted and the results absolutely proved George was NOT HER FATHER and the executive producer of the show conducts the interview and presents the evidence to the family and records it for public airing, it should have not been removed from the episode. The public has the right to know the truth of it. So, to my mind, whoever made the decision to overrule/override the producer Zak Levitt, for TNT “business interests” made a wrong decision.